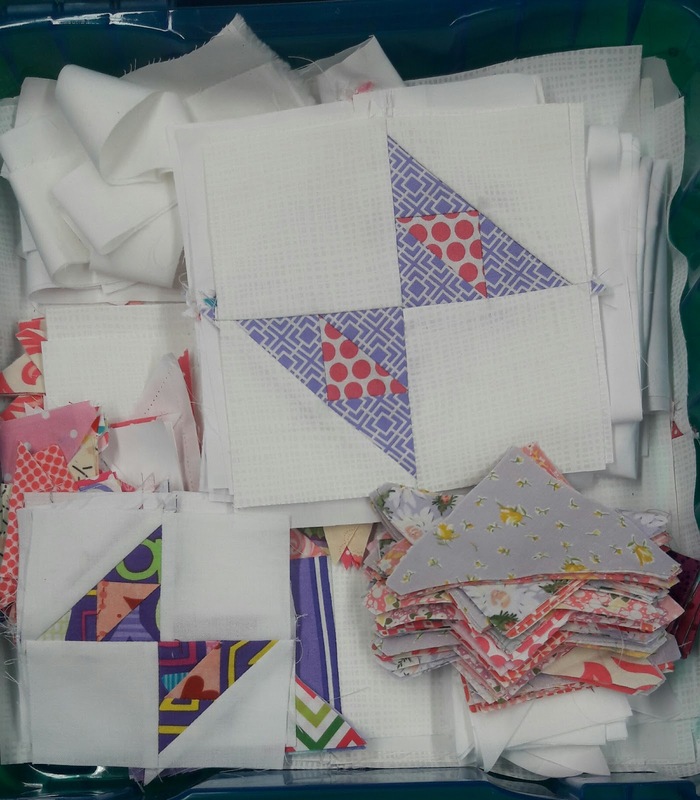 Prior to hearing the news about my grandma I had spent the weekend in preparation for the next Quilty Hug Sew in. Glad I did since it is tomorrow and last week didn't see a lot of time in the sewing room. I got strips cut for another scrappy log cabin. I do love a scrappy log cabin. Next I got more triangles cut for the butterfly quilt. It's looking like I have more than enough pink and purple triangles. 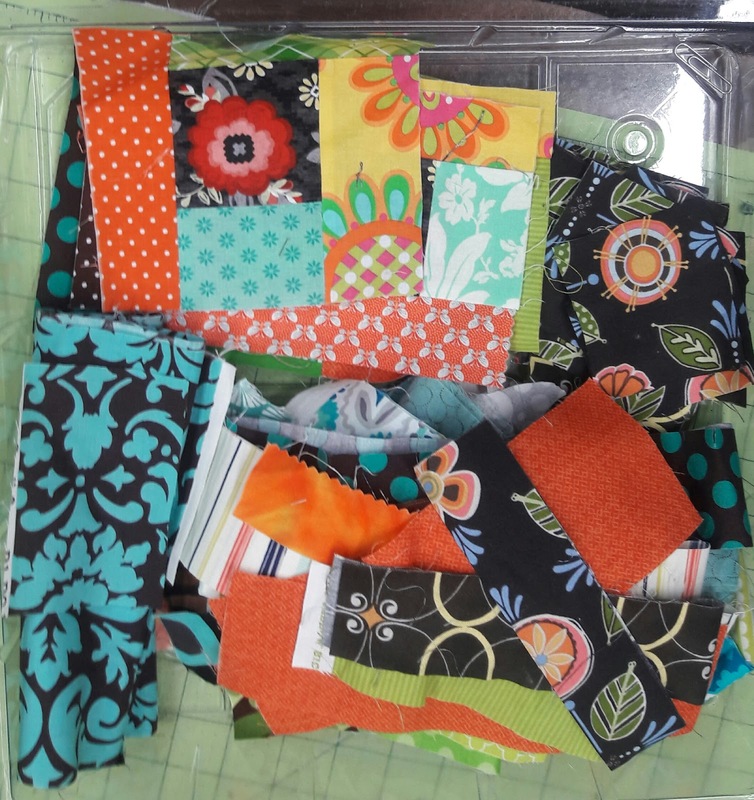 It may become two quilts. 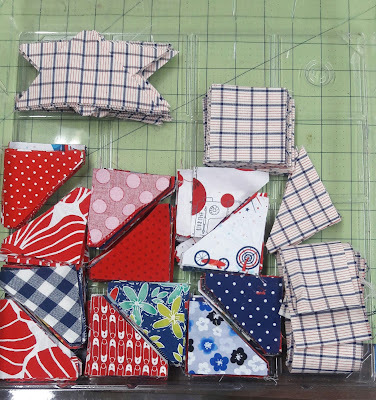 Finally I cut out triangles for a patriotic star quilt. So glad I have my Go cutter. It made quick work of all those strips and triangles. Plus it's a safe way to cut fabric while you binge watch your favorite Netflix show. Now let me see what you've been up to. Link up and share your progress. Looks like lots of colorful projects are in the works. 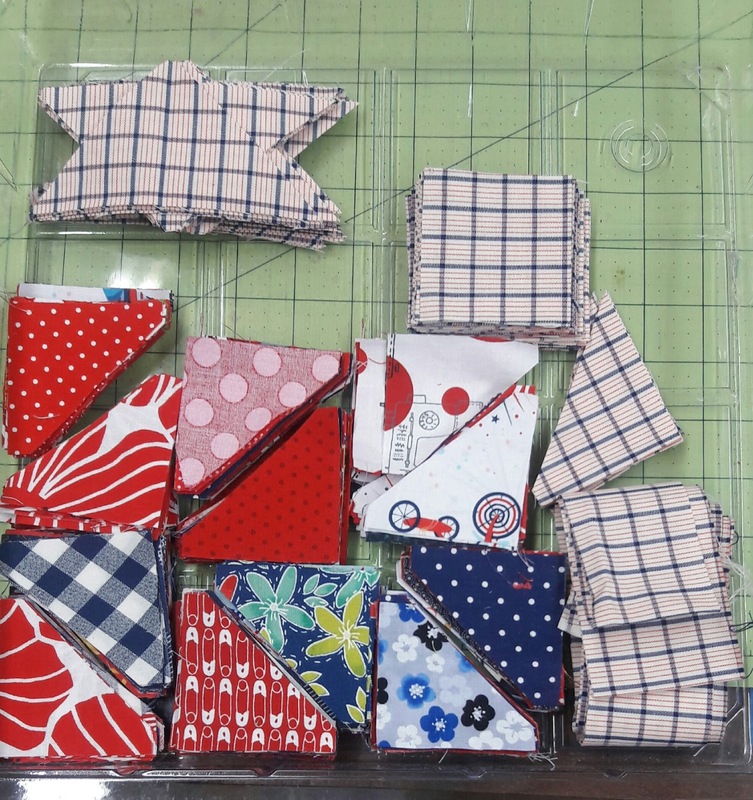 You're all set for some fun piecing. I'm all for the Accuquilt cutter! I'll be cutting a bunch of fabric for my retreat this weekend. Nothing like being able to grab a kit to work on! Wow!!! Looks like you are ready to go on your cold weather quilting. I love this time of year and cann't get enough of being outside, but soon the chilly winds will be blowing and you'll find me at my sewing machine. I no longer call it winter . . . I call it the quilting season . . . doesn't that paint a prettier picture in your head, than shoveling snow and driving on icy roads:) Thanks for the inspiration . . . I'll be looking forward to seeing your pieces put together. I've been looking at those go cutters. It seems to make fast work of cutting. I'm envious. I'll have to save some money first. Have fun with all that piecing. It's my favorite part.